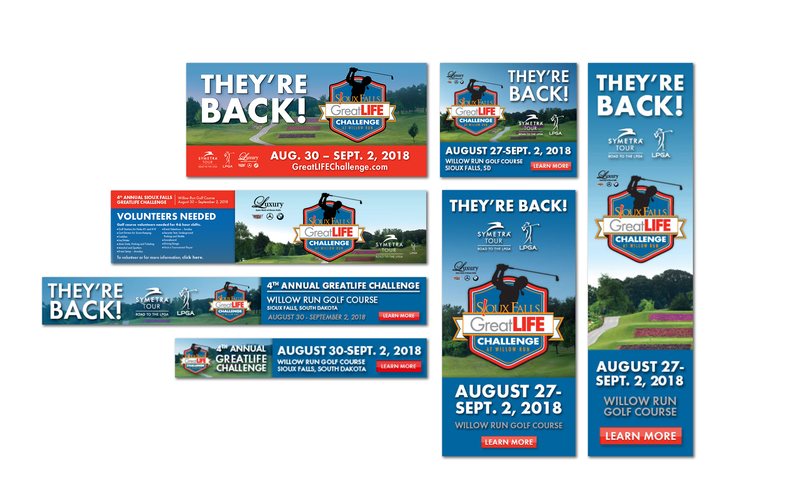 The Road to the LPGA ran through Sioux Falls for the fourth straight year this summer, and HS was happy to once again help our friends at The Sioux Falls GreatLIFE Challenge stop on The Symetra Tour get the word out. 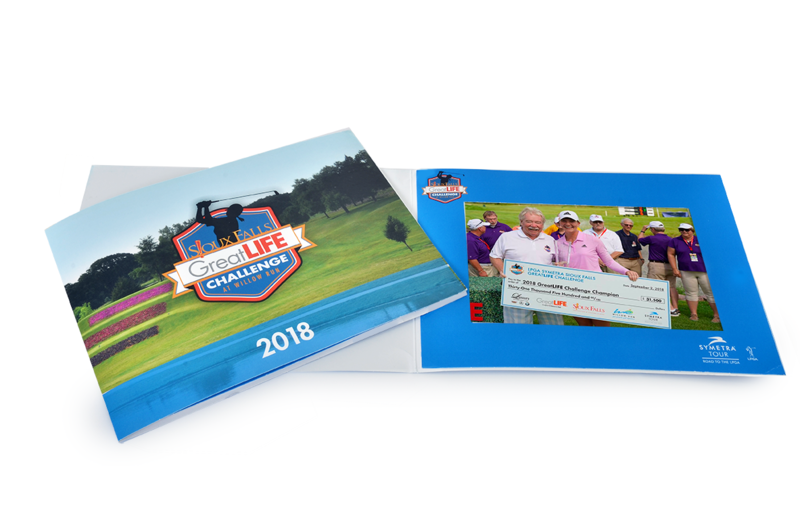 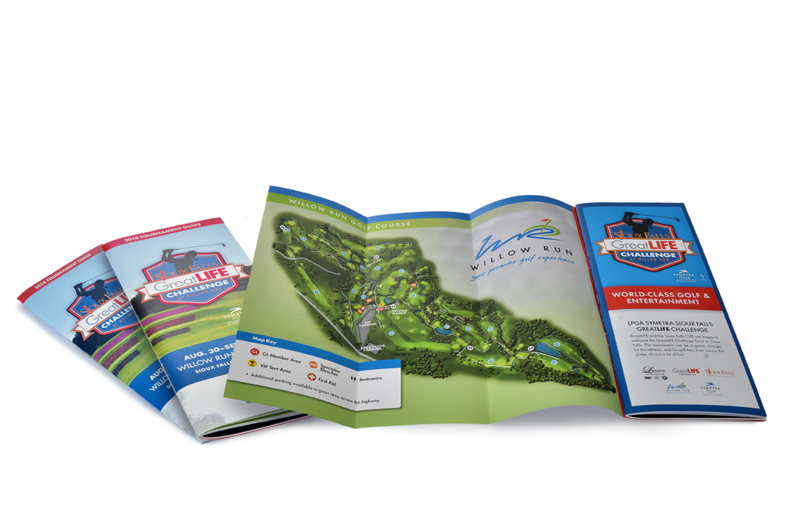 We had a hole lotta fun promoting and doing PR for this event, and for this project we helped by designing the badges, tickets, program booklet, course signage, yardage booklet, photo frame holders, print and digital ads, the trophy, promotional website and the winners check. 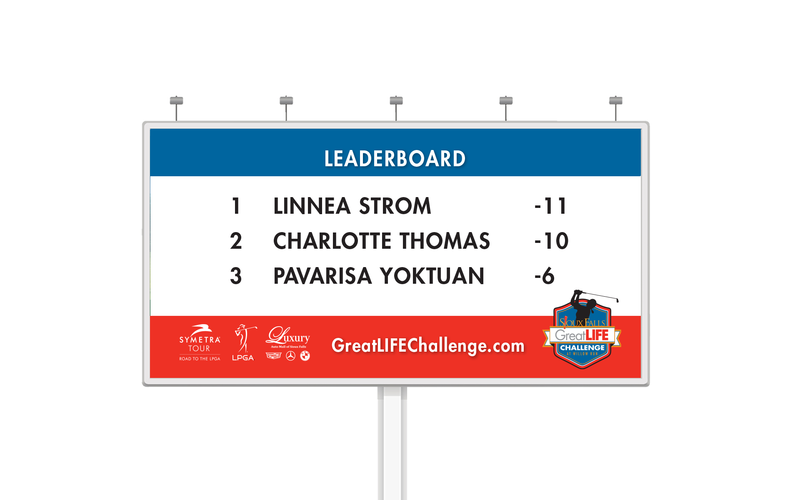 We’re always looking to innovate, and we were proud to be the first tour stop to ever use digital billboards to provide daily scoring updates. 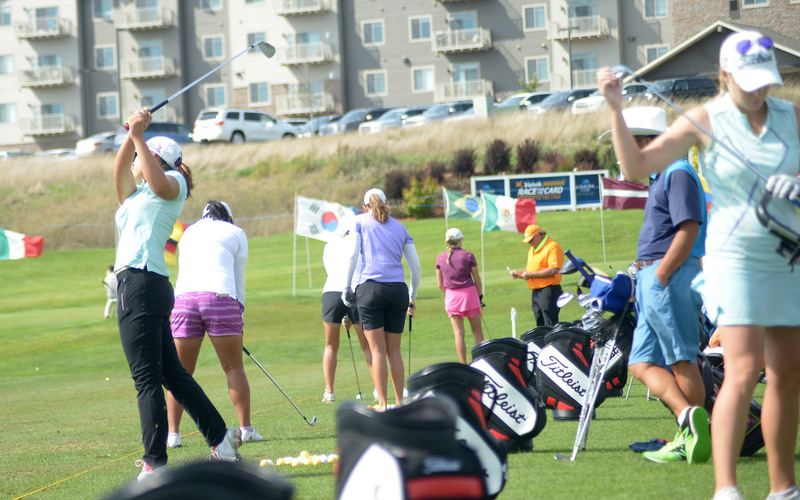 We took a big swing and were happy to drive so much coverage to this great event.